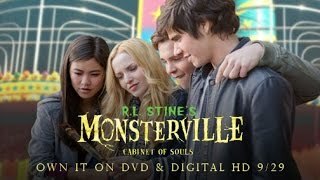 Four teens discover a hidden door inside a travelling haunted house show, and must escape before their souls are forever trapped in the mysterious cabinet. This brand new adventure comes from famed young-adult horror writer R.L. Stine.